IT'S BACK!!! 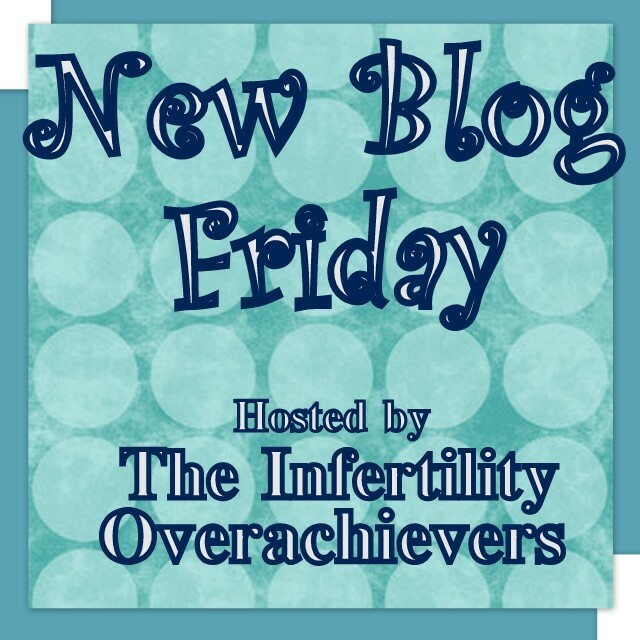 That's right after a two week hiatus, New Blog Friday is BACK!! Hi blogettes! I am so excited that Aly has given me this wonderful opportunity. My name is Ana. My DH and I are in our mid twenties and have been married just over four years. I got the baby bug shortly after we were married and we have been TTC ever since. I was told a long time ago that I have premature ovarian failure. I never have a cycle unless medically induced. So, the journey for a baby seemed never ending. I started my blog back in May 2010 for me. I needed a place to write down my feelings, thoughts, frustrations and what was happening TTC wise. I never in a million years thought it would turn into this amazing thing. Through my blog I have found support, friends, hope, encouragement, strength and a lot less alone. I have found a group of women we understand what I am going through. It is amazing what a simple blog can bring into your life or mine. After a long four years we are finally getting closer to having a baby. We were recently told we will need to get an egg donor. Luckily for us the right egg donor was an easy find, someone our RE suggested. We are now rapidly beginning this journey through IVF. We will know around my birthday (mid-October) if we are pregnant or not. What a wonderful gift that would be. 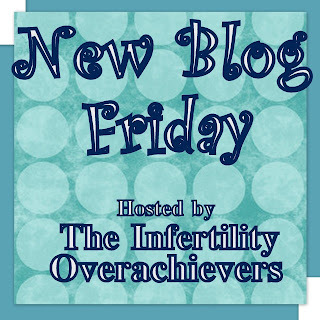 So, please feel free to come, read my blog and be part of this journey through infertility and life. Go check out Ana at Getting Help Making a Baby. Thank you Aly for the feature. I'm one of Ana's loyal followers - her blog is excellent! Check it out! Congrats, Ana! Following you from the Blog Hop & Follow Friday at Bloggy Moms! Come visit and follow back! Hi Aly. London is adorable. Best wishes to you in IVF #2. This is a great idea- to introduce your readers to a new blogger! Come over and visit my blog. I founded the non profit Parenthood for Me.org. Our mission is to provide financial and emotional support to those building families through adoption and medical intervention.